Fiat presents the first official photos of the Fiat 500L MPW (called ‘Living’ in the rest of Europe), the new model that will have its world preview in July on the sixth anniversary of the 500 family. A development of the icon launched in 2007, the new car is for living life to the full, a car which reaches out directly to a diverse public, attentive to new features and looking for a balance of functionality and design, to make room for their many interests and intended uses without compromising on style. The new Fiat has all the charm of the 500, the agility of a city-car, is as compact as a mid-size car, has the comfort and contents of a C-segment station wagon or saloon and the space and the versatility of an MPV. These are the ingredients of a new conception of the car, which is not based solely on technical specifications, but also on how it is experienced in life, to create a magic combination. The new model therefore assumes its position as the first car for the whole family which reaches out to all consumers, able to win over both men, thanks to its characteristics of functionality and efficiency, and women, due to its beauty, intelligence and style. And it’s bound to please children as well: to their eyes it will be attractively spacious. 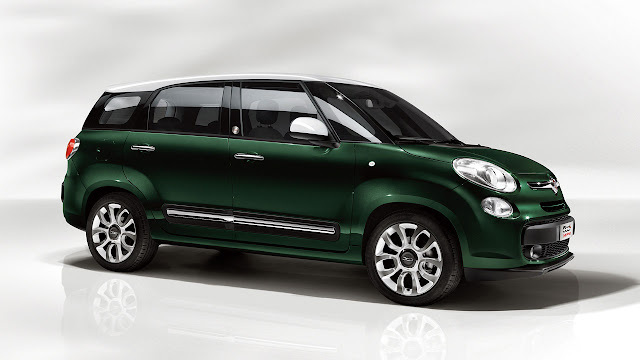 In short, the Fiat 500L MPW is the superlative expression of Fiat’s characteristic ingenuity in creating vehicles that make everyday life more simple, and a bit more fun as well. 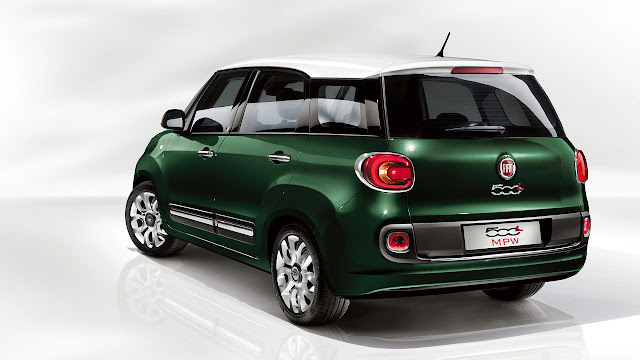 At launch, the Fiat 500L MPW will be equipped with two petrol engines - 95 HP 1.4 16v and 105 HP 0.9 TwinAir Turbo - as well as two turbodiesels: 105 HP 1.6 MultiJet II and 85 HP 1.3 MultiJet II, the latter also with automatic transmission.